Learn how to become Pro-active in the area of stress and anxiety. In today’s blog we are going to delve in to the subject of anxiety, depression and stress. We will consider triggers and long held beliefs which may affect one’s mental and physical health. We will then look to see how we can be pro-active with an epidemic which appears to be increasing each year. According to a study conducted by the World Health Organisation, 300 million people suffer with depression, the leading cause of disability. According to the study, 260 million people live with anxiety disorders, with many suffering with both anxiety and depression. As a result of this lost productivity, it is costing the global economy US$1 trillion each year. There can be many triggers for anxiety and depression. For instance a physical injury may cause us to feel pain on a daily basis and as a result has affected our quality of life, limiting our movement. Additional stress from an injury can create limiting beliefs, such as “my back will always be bad and will never improve” or maybe you have been told by a health care professional that you will never regain full function of a certain area of your body. You may have been at a low point in your life and never challenged this claim, believing their statement to be true. Linked in with this physical injury comes emotional trauma and stress. You feel dis-empowered and overwhelmed with life. Thankfully we are living at a very exciting time with neuroscience. We know the process of neuroplasticity allows the brain to keep changing and developing. We are learning from pain scientists that our pain perception is very much linked with the language in our head or the belief systems we hold, this changes our brain function. Check out the book “Explain Pain” by Dr David Butler and Professor Lorimer Moseley for more details on the subject of pain science. With certain functional issues, we may be able to reduce our pain level, improve posture, increase mobility, change our internal dialogue and enhance the quality of our life. I recently returned from an amazing seminar in Melbourne, Australia presented by the author of the book “The brain that changes itself,” Norman Doidge. From the discovery of neuroplasticity, we know that the old expression that we are ‘hard wired’ is no longer true. We know from neuroplasticity that our thoughts can switch our genes on and off, altering our brain anatomy. So we know that our amazing brain has so much influence over other areas of our physical, emotional and mental health. That is why I always use the mantra, “It all begins with how we choose to think.” It all starts with our mind and perception. Mindful somatic movement involves the process of neuroplasticity to break old habits and create new ones with a 3 step process to reset and increase muscle length, allowing your body to move more freely. In my Online Program, I discuss how we can change the language in our head for more empowering thoughts so we can take back control of our own health. It is very easy to get stuck in a mindset where we need to be “fixed” by someone else. With somatics, we realise that we are able to educate and empower ourselves with knowledge and a skill set to take back control of our health and well being. It is a balanced approach and once implemented in to your daily routine, you will feel the benefits. Developing a mindful Somatic movement practise each day is helping build healthy habits in to our life. This helps slow down the ‘fight or flight’ stress centres in our brain, reducing muscular tension and tightness in our body as a reaction to stress and anxiety. Recently I read an interesting blog from www.hoganinjury.com regarding excessive workplace stress. We all spend large amounts of our life at work and some environments can trigger extreme stress. The article discusses how a certain amount of stress is good and why, however it highlights how excessive stress is damaging. The article goes on to provide practical tips when dealing with stress. Read the full article here…. As a Somatics educator, I agree with the points highlighted in the blog from www.hoganinjury.com and integrate them into my online program with downloadable support material to help you start structuring your time, lifestyle and stress to a manageable level. I completely agree with a comment made in point 2 of the article. www.Hoganinjury.com state that when people are stressed they think the best thing to do is work through the stress. As we know from The Total Somatics Approach to Health & Wellness Online Program (www.TotalSomatics.com), this is not a healthy way to operate. To work through stress when you are already overloaded with lead to you ‘living on your adrenaline’ and this may leads to serious health issues over time. Stop and smell the roses, enjoy the moment, make it count. Your health is your wealth, place a value on yourself. Take care of yourself from the inside out. Take a look at a few of my blogs below to help you start designing a healthier, better quality of life. 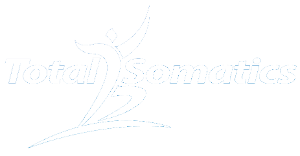 Let’s take control of our health and well being with the information I have provided in the articles, books and Total Somatics Online program all mentioned above. Don’t be a statistic for the 2018 figures and beyond. Start or regain a life full of hope, purpose, intention, self care and development. Start living consciously and deliberately, rather than subconsciously, led by old habits detrimental to our health and well being. 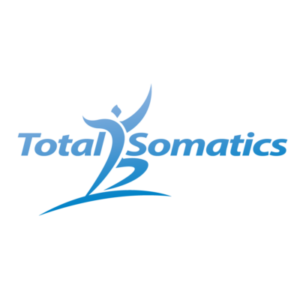 To learn more on the subject of mindset, mindfulness, somatic movement and lifestyle, check out The Total Somatics Approach to Health & Wellness Online Program at www.TotalSomatics.com. The Online program can be performed in the comfort of your own home, at a time convenient to you. I look forward to teaching you these amazing life skills.